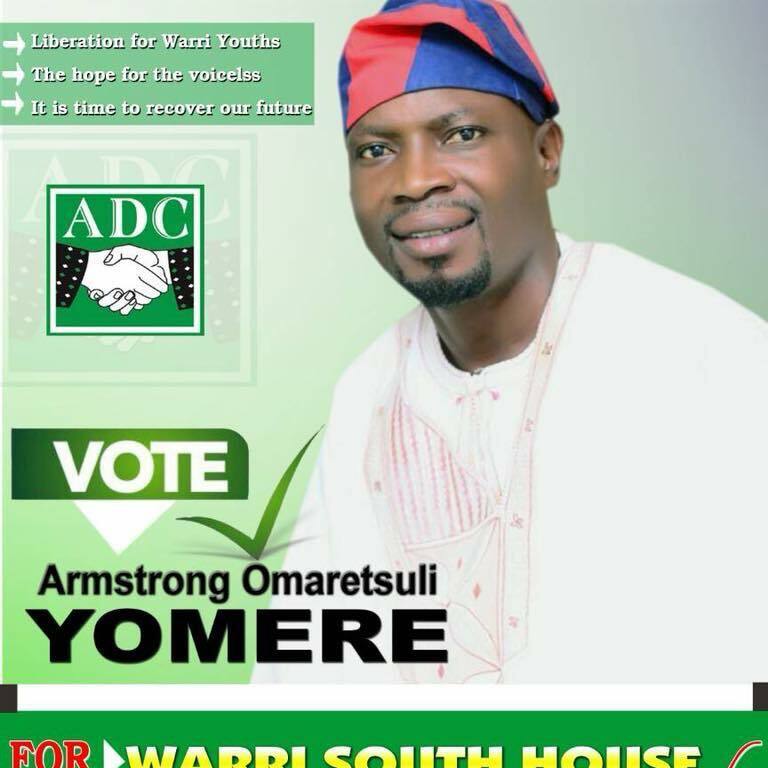 A vibrant youth and indigene of Oil-rich Omadino Community in Warri South Local Government Area, Mr. Armstrong Yomere says his decision to vie for the Warri South Constituency 1 Seat in Delta State House of Assembly come 2019 under the platform of African Democratic Congress, ADC is to give people of the constituency robust and quality representation. The ADC House of Assembly hopeful who spoke exclusively to Our Senior Correspondent in Warri Wednesday August 15, opined that no meaningful development have been attracted to the constituency over the years, hence the need for youths like him to take-over the mantle of representation. Mr. Yomere promised to change the negative narrative about Omadino and cautioned youths as well as other stakeholders not to sell their conscience in the forthcoming polls. He admonished youths who have not registered to take advantage of the extended voters’ registration exercise so as to get their PVC in preparation for the forthcoming elections, noting that the time for money politics are over.